An ingeniously formulated statement – and seductive in the way it identifies the presence of specialized and odd businesses as a measure of the diversity we all associate with genuine urbanity. Now, whenever I first visit a successful (or less successful) example of city planning that interests me, I am always on the lookout for mine canaries. Upper Johanneberg (Övre Johanneberg) is a residential district of Gothenburg (Göteborg in Swedish) located just south of the city center, on a hill right behind Göta Square (Götaplatsen) and the Gothenburg Art Museum – a good example of unified functionalist planning from 1936 by functionalist legend and Gothenburg’s Director of Public Works (förste stadsingenjör) Uno Åhrén. 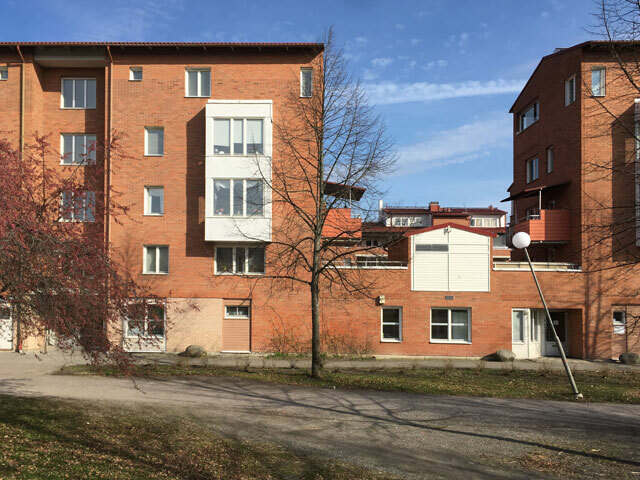 In this respect, Upper Johanneberg’s architecture and urban history can be classified as at least as interesting as the better-known functionalist housing developments at Gärdet in Stockholm or Ribersborg in Malmö, which were built around the same time. When I visit Upper Johanneberg for the first time in April 2018 (strange that I have never been here before) I note that Upper Johanneberg has plenty of businesses of the specialized, and odd varieties that fall into the category of Garreau’s mine canaries – and they are located not only along the main through-streets, Gibraltargatan and Viktor Rydbergsgatan, but also on cross streets and parallel streets as well. Businesses like a small pet shop and a funeral home. For a mine canary hunter in Upper Johanneberg, however, a genuine traditional second-hand bookstore would be about the best you could hope to find. So is there a second-hand bookstore in Upper Johanneberg? 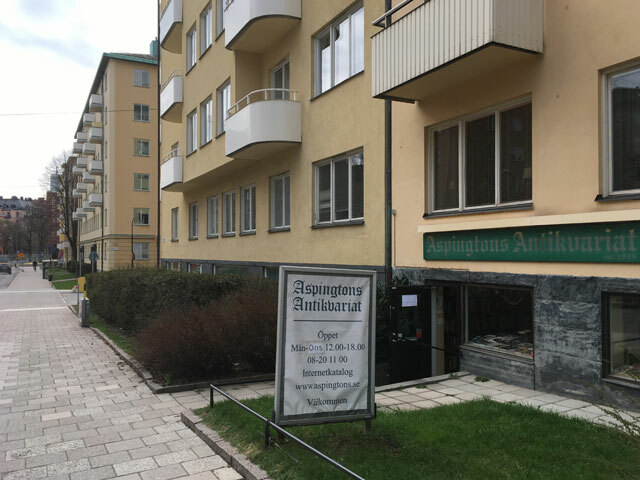 Yes, bingo, on the corner of Gibraltargatan and Eklandagatan there it is, Antikvariat Pan. When you want to measure the conditions needed for creating a genuine urban landscape and a high quality of urban life, the Urbanity Index u is superior to all other methods, by far. No other established measurement method is as reliable for measuring and quantifying urban qualities. The Urbanity Index is, for example, much more effective and much more accurate as a measure of urbanity than what floor area ratios (FAR) can offer – I believe I showed this in my article from 2016. However, my Urbanity Index has not been accepted in the big wide world, neither by academics nor other experts. I am not aware of any expert on urban issues that has begun to use this form of measurement. 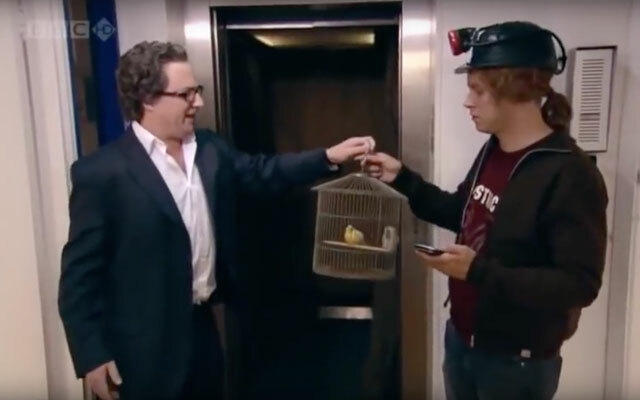 I might be able to convince more of you people out there about the simplicity and effectiveness of my Urbanity Index if there could be shown a direct causal link between 1) the admittedly anecdotal but intuitively appealing and seductive idea of the mine canary, and 2) the more technocratic Urbanity Index u. If this is the case: in an area with a ​​high Urbanity Index (u ≈ 1), it should always be possible to find a second-hand bookstore somewhere in the area, while in an area with a low Urbanity Index (u ≈ 0), it would hardly be possible to find one at all. In Upper Johanneberg there is as mentioned a second-hand bookstore. A second-hand bookstore with a history, which has done well and has survived for decades. So far so good. To find support for my thesis that the presence of a second-hand bookstore in a given neighborhood coincides with a high Urbanity Index in the same neighborhood, one needs only to calculate the Urbanity Index u for the block where Antikvariat Pan is located, and hopefully the u Index will be high (u ≈ 1). The sum of the lengths in meters of the block’s “inner” property lines (marked in blue) is: 45m + 45m + 17m + 17m + 54m + 45m + 36m + 113m + 30m + 30m + 30m + 30m + 49m + 40m = 581m. 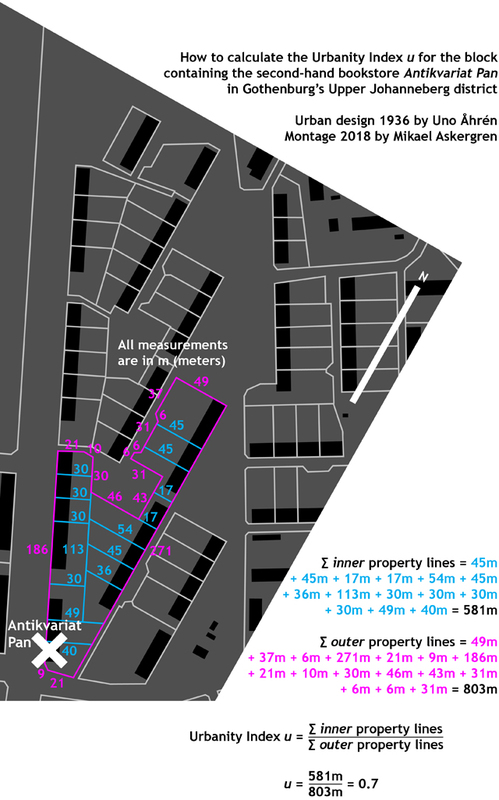 The sum of the lengths in meters of the block’s “outer” property lines (marked in pink) is: 49m + 37m + 6m + 271m + 21m + 9m + 186m + 21m + 10m + 30m + 46m + 43m + 31m + 6m + 6m + 31m = 803m. By comparison, it should be pointed out that if the block with the second-hand bookstore had consisted of one single property, where the sum of all the lengths of the “inner” (blue) property lines of the block would be equal to zero, then the Urbanity Index u for the block would have also been equal to zero, since 0m / 803m = 0. Or if the land was not divided into blocks or building plots at all, if all the land in Upper Johanneberg had been common lands and park areas, that is, even if the sum of all the lengths of the block’s “outer” (pink) property lines had been equal to zero, in that case it would have been futile to try to calculate the Urbanity Index value, since division by zero (even in the special case of zero divided by zero) is mathematically undefined. Which intuitively feels reasonable – it feels reasonable not to count common lands (allmänningar) and parks as urban phenomena. Common lands and parks are, of course, things that appears here and there in cities, but in spots, more the exception than the rule, and it seems reasonable that it is simply not possible to calculate an Urbanity Index, that it is simply not possible to define “the degree of urbanity” of common lands and parks. But back to our calculation example. Neither the sum of the “inner” nor the sum of the “outer” property lines is equal to zero in our example. 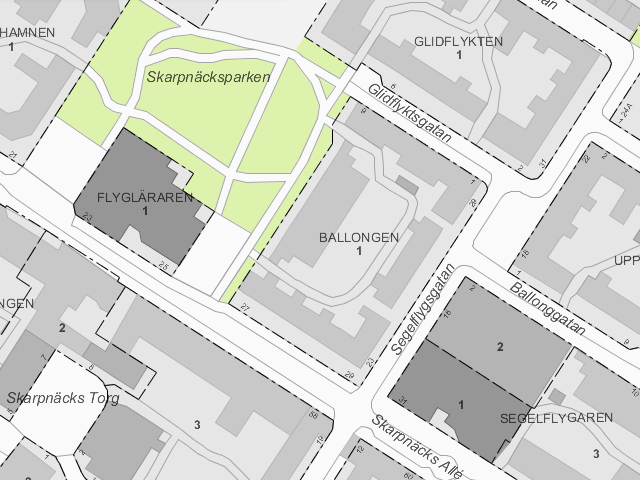 Upper Johanneberg is actually divided into conventional city blocks, and the block with the second-hand bookstore at the corner of Gibraltargatan and Eklandagatan has also been divided into a large number of individual building plots. As a result the block has a fairly high Urbanity Index value, u = 0.7. Which is a rather good result for a multifamily housing development located outside of the actual city center. In this respect, the example of Upper Johanneberg supports my thesis that the presence of a second-hand bookstore in any given neighborhood coincides well with a high Urbanity Index in that neighborhood. This relatively high u-value can be surprising to a visitor who lacks access to a detailed plot map, since the neighborhood is a very typical modernist-style suburban area in the genre of isolated-buildings-in-a-rolling-park-landscape without traditional street corridors. A first glance instead gives the impression that the area was never divided into building plots, so the Urbanity Index value should therefore be quite low. A site plan of Upper Johanneberg, however, with all the block and property lines drawn in, reveals that the initial impression, the impression of public parkland not subdivided into smaller parcels, is misleading. In fact, not only are the housing blocks divided into parcels with relatively small independent buildings (each constructed by a different builder, who in turn hired a different architect), but the area’s lush green lawns and oak-dotted hills are also divided into parcels. Very little of the area’s open landscape, much less than you would first think, actually consists of public parkland. Most of the parkland consists of small lots in long rows, similar to the arrangement of gardens in single-family housing areas, a little piece of “garden” for each individual building, where only the fences between the “gardens” are missing. But it is no coincidence that visitors can be fooled into believing that all the land between the housing blocks in Upper Johanneberg is public parkland. The fact that this is not the case has been intentionally camouflaged by Uno Åhrén. 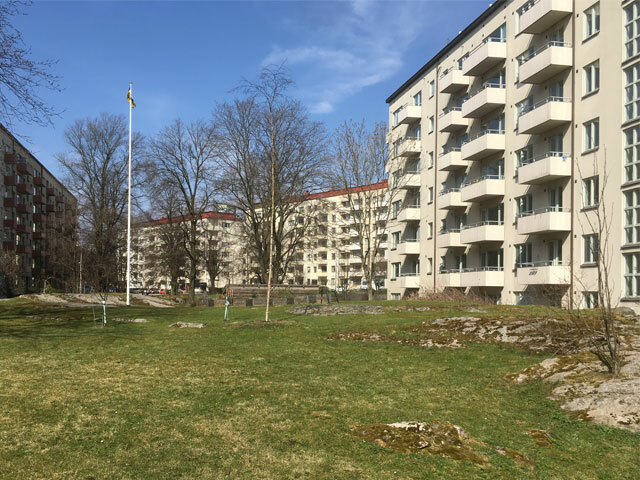 He actually wanted all the land between the housing blocks in Upper Johanneberg to be public parkland, owned and managed by the city of Gothenburg. 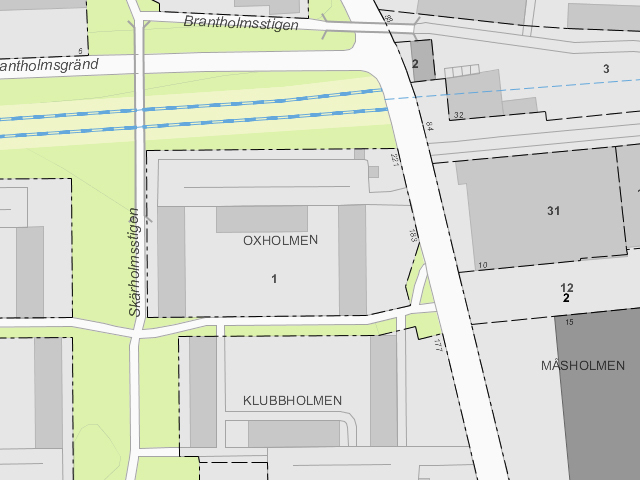 The division of the land into individual parcels was imposed on Åhrén from above – the real estate manager of Gothenburg preferred to divide up the city’s land and sell off the parcels.3 It is thus not thanks to, but rather despite Uno Åhrén that the district of Upper Johanneberg today enjoys a relatively high u-value. If Upper Johanneberg had been designed and planned much later, say in 1966 instead of 1936, then social changes would have caught up with Uno Åhrén’s vision of an Upper Johanneberg without separate parcels – suburban development in the 1960s tend to have larger property sizes and fewer properties per block than that of the 1930s. If the area had been built first in the 1960s, then the block with Antikvariat Pan would have consisted of one single continuous property, and consequently it would have had an Urbanity Index value of u = 0, no question about it. This would have had a highly negative impact on the possibility of establishing a successful business in the area. If the area had first been built in the 1960s, there simply would have not been as many urban mine canaries in Upper Johanneberg as there are today. It has to be mentioned that the number of mine canaries in Upper Johanneberg has been positively affected by the fact that a fairly busy street, Gibraltargatan, borders the area. It is no coincidence that most of Upper Johanneberg’s businesses (including Antikvariat Pan) are gathered along this stretch. They have gathered here because Gibraltargatan is a street where more people are present than on Viktor Rydbergsgatan, which is higher up. Along Gibraltargatan, not only the residents of Johanneberg but people from all over Gothenburg travel to and from the city center. Viktor Rydbergsgatan does not have the same volume of through-traffic – most of the people moving along this street live in Johanneberg. All the more remarkable then that there are actually so many mine canary businesses along Viktor Rydbergsgatan (more than one would generally expect in a relatively isolated suburban enclave high up on a hill). And this very noticeable chirping of mine canaries throughout all of Upper Johanneberg, not only along Gibraltargatan, is due to the division of land into separate parcels. It is the division of land into separate parcels, and nothing else, which in the end, when all is said and done, actually determines how an urban landscape works, that actually determines how people who inhabit the urban landscape behave – socially, culturally, legally, and financially. 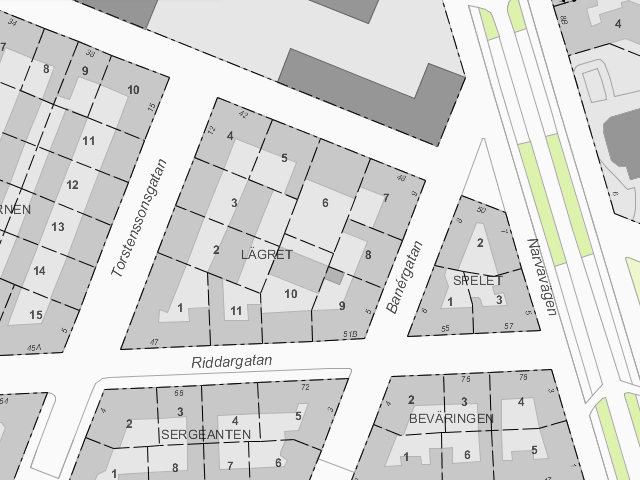 In addition, if Uno Åhrén had chosen not to make unusual city block layouts in Upper Johanneberg, if Åhrén instead gave each single block a simpler geometric form that was not so absurdly windy and awkwardly complicated, then the sum of all the lengths of the block’s “outer” (pink) property lines would have become smaller, and the calculation would have resulted in a higher Urbanity Index for our block with the second-hand bookstore – which is exactly what one would expect from an appropriate and reliable measure of urbanity: the conditions for a particular district’s business and commercial success are affected to the highest degree by the geometric patterns of the property boundaries appearing on a property map. The simpler and more general the pattern, the more banal the street and block pattern, the better the conditions for a long-term lively city. With simpler and more general city block forms in Upper Johanneberg – but with the blocks still subdivided into at least as many smaller parcels! - the Urbanity Index would not only have been higher, it would have produced even better conditions for all kinds of business activities. 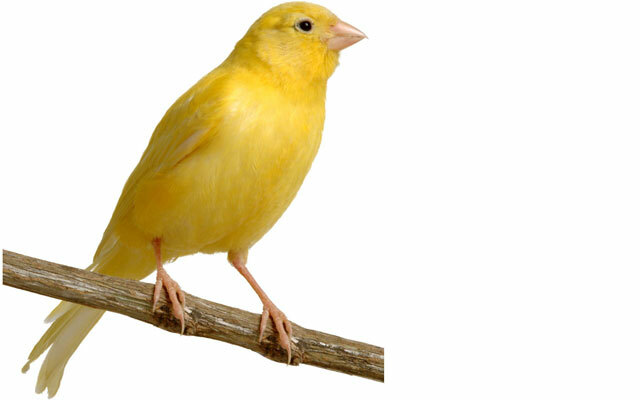 Even for the more or less odd canaries. With simpler and more general city block forms, there might have been the possibility for even more second-hand bookstores in Upper Johanneberg. Note that the size of the blocks in and of themselves (or the size of the parcels in and of themselves) is not critical for the final result when calculating the Urbanity Index. The Urbanity Index is not about the absolute dimensions of the blocks and parcels – the Urbanity Index is about the proportions of the block in relation to the parcel sizes within the block. The Urbanity Index u is high when there is a favorable proportional relation between 1) the outer dimensions of the block on the one hand, and 2) the subdivision of the block into smaller parcels on the other – regardless of whether the blocks themselves (or the parcels themselves) are very large or very small. An unnecessarily dense and ineffective “small-scale” street network also means that street life is diluted onto a larger surface area – a street life that would be perceived as more intense and dynamic if it was concentrated on a smaller number of streets and fewer street corners. No, picturesque and “small-scale” are not in and of themselves a recipe for urbanity – not unless the property sizes in the area are at least as small-scale as the block is. Not if the parcels are too big in relation to the small-scale blocks. Businesses and city life benefit primarily from a long-term cost-effective system of city blocks and individual properties, that is, a city plan where the block is not too small and the parcels are not too large in relation to each other. And how do you know as a builder or as an architect or as a city planner or as a politician if the block is not too small and the parcels are not too large? One calculates the Urbanity Index for the blocks and the neighborhood. A city plan where the blocks and the parcels have a favorable proportional relationship will have a high Urbanity Index u. No other measurement method, none currently in use, emphasizes the crucial importance of precisely this proportional relationship. Which explains why the Urbanity Index is superior to all other methods for measuring and quantifying urban qualities. And so: A high Urbanity Index in any given neighborhood means in all cases that the conditions are good for the emergence of this kind of genuine urbanity, which means, among other things, that not only the more prosaic types of local services but also a number of highly specialized, more or less odd mine canary types of businesses can both appear and survive in the neighborhood. A low Urbanity Index value will mean the opposite. It’s as simple as that. Many thanks to Lars Marcus for mentioning the interview with Joel Garreau in Dagens Nyheter and Garreau’s concept of the mine canary. Thank you to both Lars Marcus and Johan Johansson for reviewing my first drafts of this article. Read more about the Urbanity Index u in my previously mentioned article from 2016. 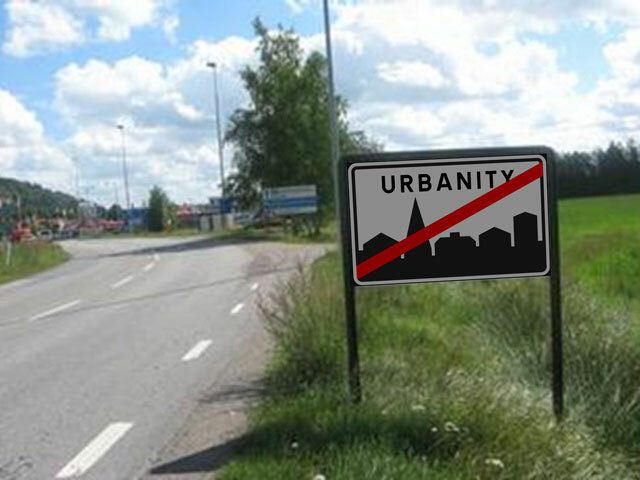 By the way, when I first published my theses a couple of years ago about urbanity and the Urbanity Index, which included calculations of the Urbanity Index for selected urban areas, I focused only on Stockholm. I was content to only calculate u-values, and did not document the possible occurrence of any mine canaries at that time. (Garreau’s clever description was still unknown to me then.) 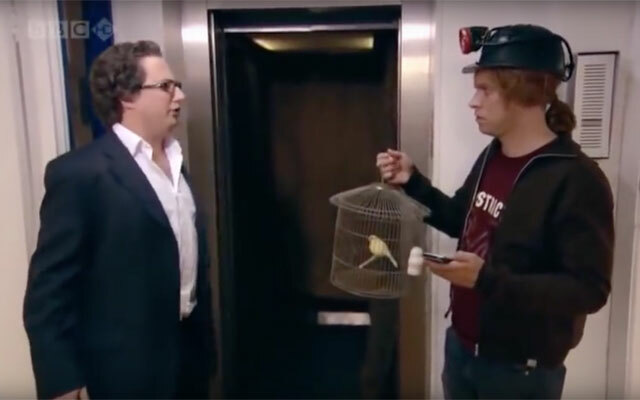 So are there any urban mine canaries in any of the Stockholm areas I examined in 2016? There should be, I have some clear memories of that. I remember among other things that there was a second-hand bookstore in at least one of the four Stockholm districts that I used as city planning examples. In any case, I have looked into it and I document the results here now, after the fact. I start by looking for mine canaries in Skarpnäck and Skärholmen, more specifically in the Ballongen block in Skarpnäck and the Oxholmen block in Skärholmen, and find – nothing. Not a single chirping canary anywhere. Which is not surprising, since the Urbanity Index is always extremely low in such relatively new areas. Younger developments tend to have lower u-values (larger parcels and fewer parcels per block) than in older developments, and quite rightly in 2016 the u-values for the Ballongen block in Skarpnäck and the Oxholmen block in Skärholmen in both cases were zero (u = 0). 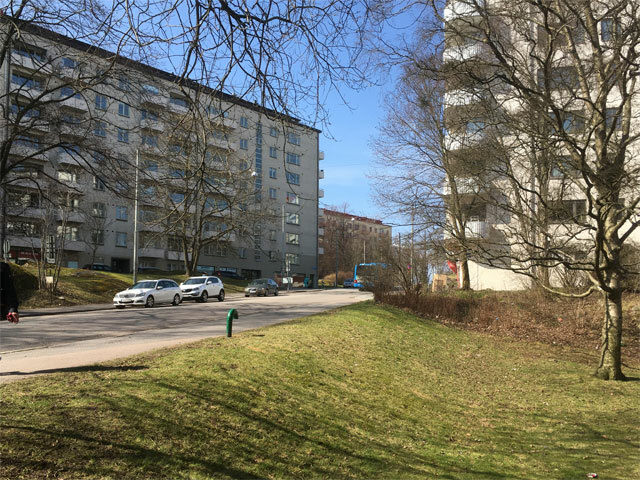 I continue my search in the other two districts I investigated in 2016, both of which had very high Urbanity Index values (u = 1.2), namely the Röda Rosen block in Gärdet and the Lägret block in Östermalm. And as expected, in the Röda Rosen block in Gärdet one finds the second-hand bookstore Aspingtons Antikvariat. 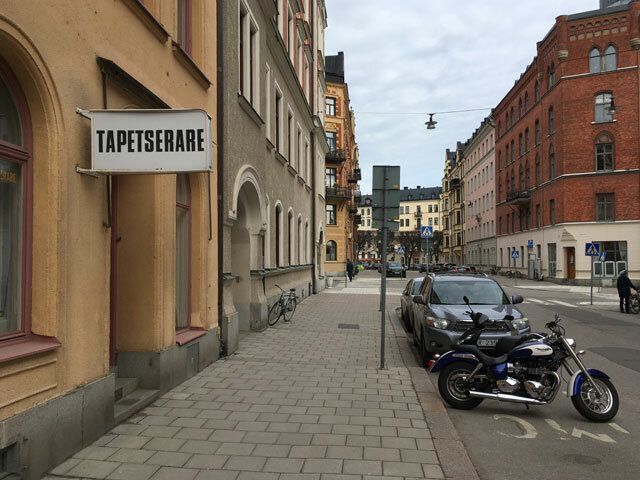 And in the Lägret block in Östermalm, even though one finds no second-hand bookstore, there are other types of mine canaries, such as the restaurant Coco & Carmen, the pastry designer Ateljé Tårtan and the upholsterer Lars Blomkvists Tapetserarverkstad. When Albert Lilienberg and Uno Åhrén planned their respective areas of Johanneberg, relatively high u-values were as natural for newly built urban districts as the opposite is today. The conditions of production in the period between the wars resulted almost unavoidably in relatively small-scale subdivisions in both Upper and Lower Johanneberg. It would take several decades before new urban developments with almost no u-index value at all would begin to be realized in Gothenburg, but on the other hand, the change happened very quickly. 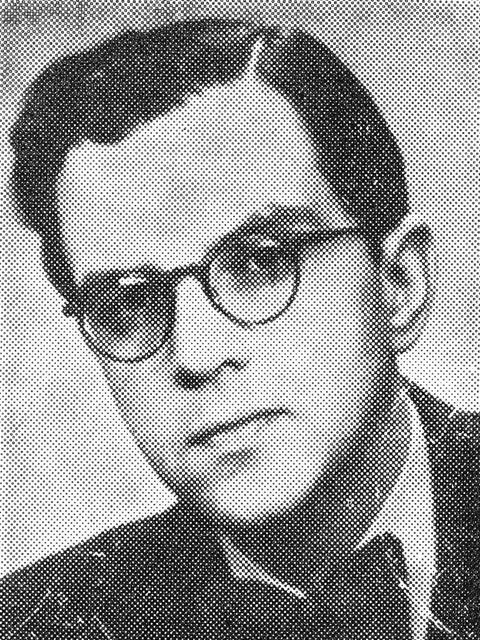 Campanello was recruited from Gävle, where he worked during the 1950s and gained recognition for his efforts in the clearance of the Söder district. Campanello’s method involved buying up and acquiring all of the properties in a city block in order to combine them into one entire block-size entity, and he was a proven, skillful implementer. The building, administrative, and technical rationality that was necessary to transform the development of Söder was achieved by removing as many “inner” property lines as possible. His combination of clarity and force-of-will appealed to many municipal politicians in Gothenburg. 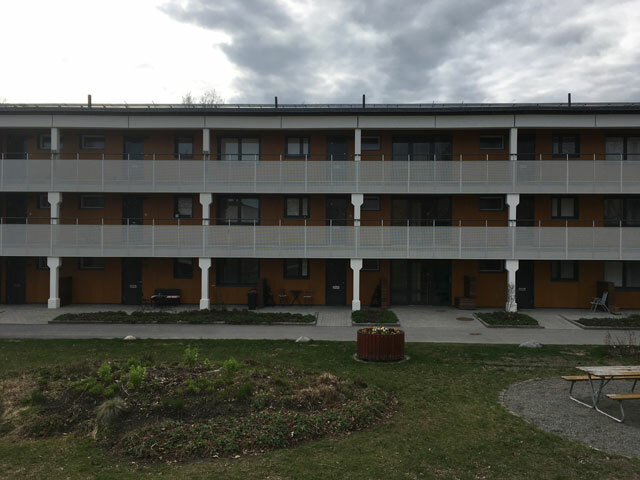 Campanello’s method raised hopes for a quick, rational, and definitive solution to the problem of outdated building developments in districts like Landala, Annedal, Gårda, Haga, Olskroken, and Stigberget. 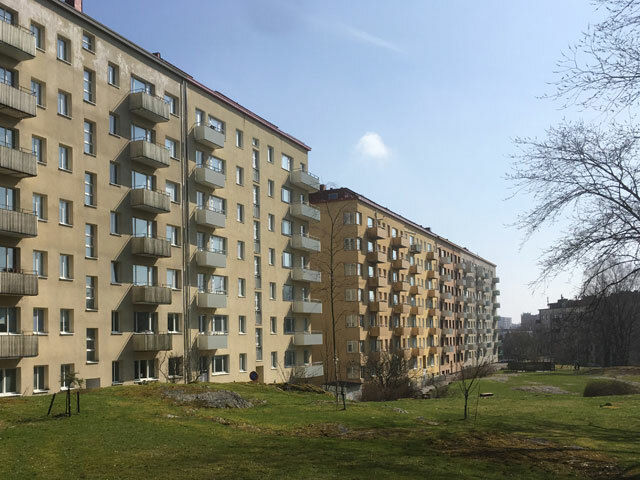 Göta Lejon had access to almost unlimited resources, and in the beginning of 1964 the company had acquired 311 clearance properties at a cost of 52 million kronor in the monetary value of that time. In 1969 Göta Lejon administered 648 properties, acquired at a cost of a little more than 146 million kronor. Purchases were carried out many times against the wishes of the property owners, through expropriation, forced sales, and other tools that would be difficult to use in similar situations today. 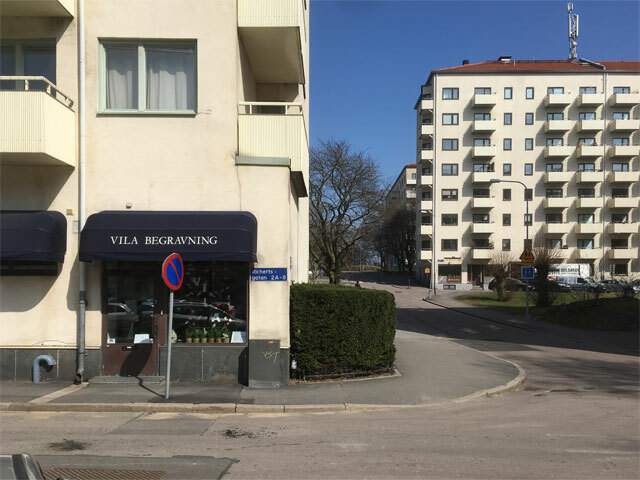 The properties were sold to parties who had signed contracts with the municipality to renew them, in line with the program that was developed by Göta Lejon. 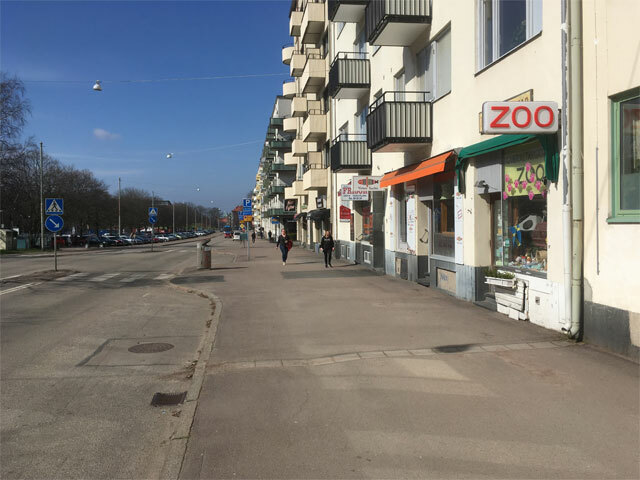 To avoid speculation, the city districts were divided into zones of interest, where Göta Leon also participated. 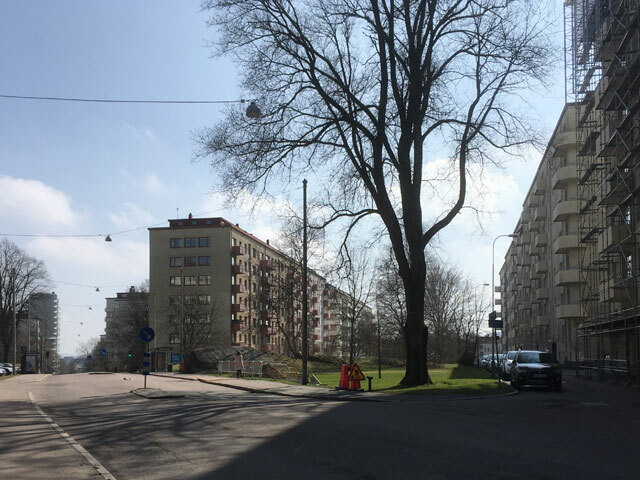 Under the direction of Campanello, and to a degree that has never been seen before or since in Sweden, Göta Lejon carried out a series of neighborhood transformations that stood out in their magnitude, efficiency, as well as destructiveness, which in its own way was a fantastic effort. Over a period of nearly fifteen years at least four city districts were eradicated, and in several others the demolitions and the combining of several individual properties were so extensive that the districts were changed in an irrevocable way; Haga and Majorna are perhaps the most well known examples of this. New construction often took longer to implement, which among other things was due to the protests that arose from the extensive demolition, the shipbuilding industry crisis of the 1970s, the recession, and the problem of empty apartments in the new developments. 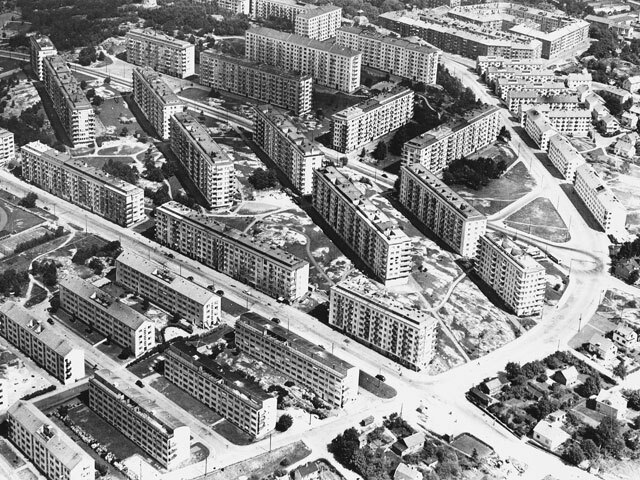 The demolished Landala district was completed in 1973; Olskroken was finished ten years later, in 1983. In both of these areas, the u-index for most of the newly built blocks is zero. In all its simplicity, the Urbanity Index u appears to touch on a particularly sensitive area in our society: how much a society is willing to invest on the one hand in the boundaries between different individual actors, and on the other hand in the boundaries between individual actors in general and the collective. The ratio between these two becomes a kind of scale that measures to what lengths a society encourages individual as opposed to collective interests, a very elegant measurement, a kind of E = mc2 for the social sciences. But is this about urbanity? (A question I raised in my appendix to the previous article.) It seems to be that the Urbanity Index touches upon something more general, where the scale is crucial when one uses the measurement. 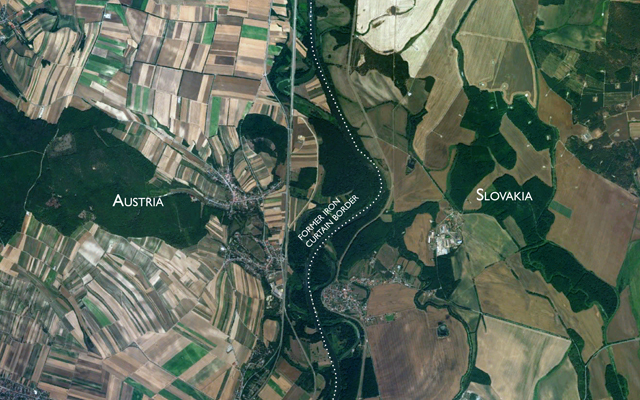 See the image below showing the border between Austria and Slovakia, where the Austrian agricultural landscape appears as a diverse patchwork of fields in the way we recognize throughout the west, while in Slovakia we see along the juridical border an unbroken landscape divided only by natural elements. Does this mean that Austria as a country is more urban than Slovakia? In your interpretation it probably is so – if we consider that the same pattern appears in Slovakia’s (previously Czechoslovakia’s) cities. But here in the countryside, shall we call it urban? I believe that the u-index instead captures something more general than just “urbanity” in cities, which (as I wrote about in my previous appendix) is a term I have some difficulty with. The u-index instead captures something more fundamental in society: the u-index becomes a kind of barometer that measures how much we are willing to support individual or collective interests – in essence, the playing field of politics. But you also ask: is it really “urbanity” that the u-index measures? An interesting question, absolutely. I also answer yes to this question, however, a preliminary yes. For the simple reason that more than any other important kind of essence, the essence of urbanity is what it (the u-index) immediately and directly – and, not least, in all of its parts – captures. There is for example a problematic time delay in regards to the relation between physical reality on the one hand and the prevailing spirit of the times and social ideology on the other. Let us test the u-index as a measure of individualism versus collectivism. As I previously mentioned, Uno Åhrén wanted already back in 1936 to do away with traditional property subdivision in Upper Johanneberg. 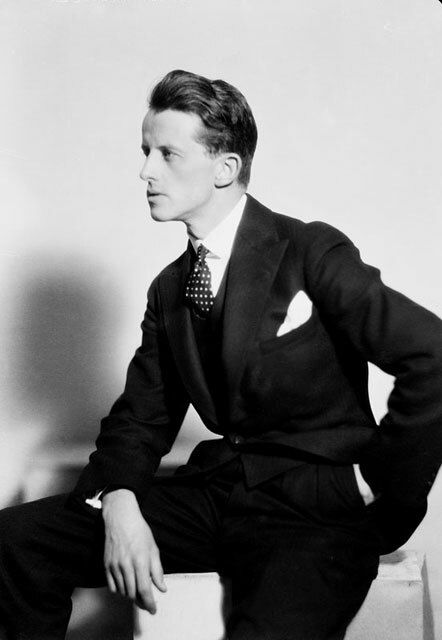 His intention, as he clearly expressed it, was for a typically 1930s collectivism in the spirit of Folkhemmet – but the land in Upper Johanneberg ended up being subdivided in the “usual” way, despite Åhréns’ and his contemporary followers’ clearly collectivist ideology. For this reason, the u-index hardly provides us, in all of its parts, a complete and correct image of the spirit of the times during the 1930s. 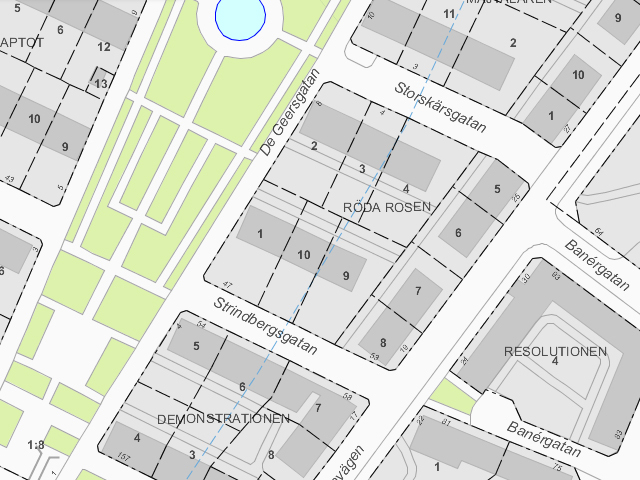 The u-index does not capture the spirit of the 1930s in the example of Upper Johanneberg, instead it is 19th century bourgeois liberalism that to the highest degree (still) leaves its mark on the sizes of the blocks and properties in the neighborhood. It was not until the 1960s that the collectivist spirit operated fully on the u-index values of new developments – which Johan captured so vividly in his e-mail on the enterprising but completely ruthless Louis Campanello. But at the same time when Campanello is at his worst, and in the early part of the 1970s, a reaction to instrumentalism and collectivism begins to appear in the form of postmodernism and a neo-liberal neo-individualism. In this respect, one cannot completely trust the u-index to measure “the degree of collectivism” during a particular era or epoch, since most of what takes expression within the spirit of an era cannot be measured in u-index values – a result of the ideological time delay when one builds. The urban consequences of how one builds, however, (regardless of the prevailing spirit of the times) can always be measured – as a u-index. By the way, thank you for your description of my “elegant” Urbanity Index as a social sciences equivalent to E = mc2. It is very flattering. I agree! I am with you, but still think that it can be a little strange to talk about more or less urban spruce forests. This means there are two possible roads to go down. Either you reflect on if it really is an Urbanity Index or if it is more like a kind of Differentiation Index, a d-index. What varies mostly in your examples is the length of the boundaries between individual or private interests, while the boundary between private and public interests vary to a smaller degree. What the measurement measures is therefore the degree of differentiation of private interests, which varies over time, between different cities and between different societies, which of course is something very characteristic and fundamental for them all. This is perhaps the most fundamental reason for human beings to create boundaries, build walls, or create separate spaces more generally: a need to differentiate, to make distinctions between different people and different things. One could then change the scale and consider a simple chest of drawers to see how, depending on the number of drawers, one can make more or fewer distinctions even if it has the same volume. Here one could imagine a ratio between the chest’s total surface area and the surface area of the sum of the inner volumes of the drawers. A considerably more mundane, but more three-dimensional kind of u-index. But to say that any given chest of drawers is more urban than another starts to get pretty absurd. If we choose in this way to not fixate on the distinction between city and countryside, which becomes ever more difficult to do, and instead differentiate between, on the one hand, the spatial foundation for the lives and activities of human beings, and on the other hand, the lives and activities in and of themselves, the u-index appears as highly useful even outside of what we call cities. This would also mean that we may continue to call it the u-index, and may in fact describe spruce forests as urban to varying degrees. But the main point here is that we are on the path towards a better understanding of what we actually mean when we talk about urbanity, that it is not so much about the size of housing developments or the density of the population, but more about the presence of a high degree of differentiation made possible by physical or legal boundaries in space. • Examples of urban mine canaries in Upper Johanneberg, Gothenburg. A pet store Gibraltargatan Zoo on Gibraltargatan, and a small funeral home Vila Begravning on the corner of Richertsgatan and Olof Rudbecksgatan. Photo by Mikael Askergren, 2018. 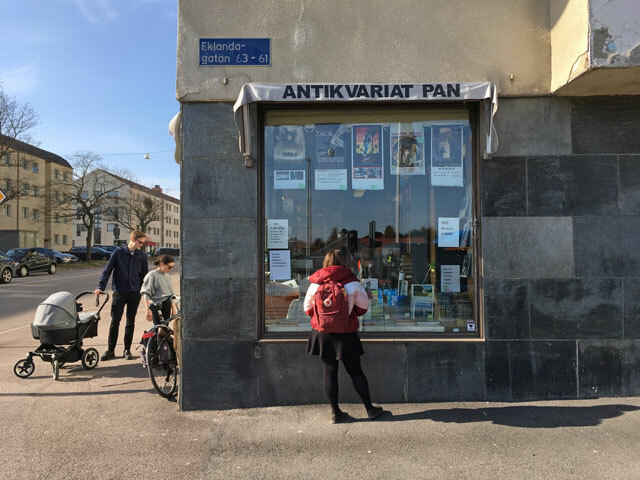 • The second-hand bookstore Antikvariat Pan is located on the corner of Gibraltargatan and Eklandagatan. 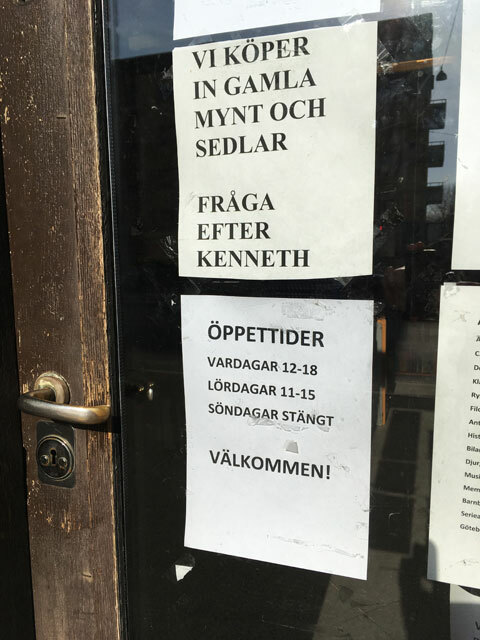 “Ask for Kenneth” says the sign on the door, if you are interested in selling coins or banknotes. Photo by Mikael Askergren, 2018. • Sketch by Mikael Askergren, 2016. 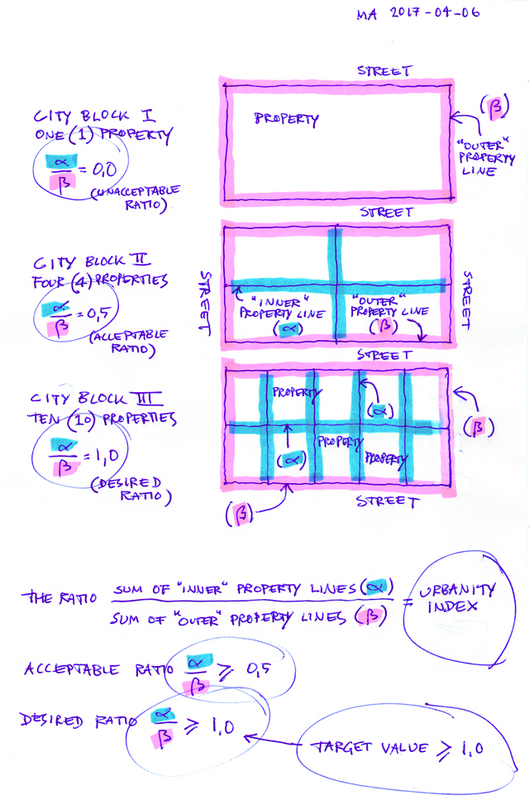 How to calculate the Urbanity Index u. A building development is classified as urban if the ratio ∑property lineinner / ∑property lineouter ≥ 1. • Montage by Mikael Askergren, 2018. How to calculate the Urbanity Index u for the block containing the second-hand bookstore Antikvariat Pan in Gothenburg’s Upper Johanneberg district. Gothenburg’s Director of Public Works Uno Åhrén authored the city plan in 1936. The X marks the location of Antikvariat Pan. • Views from the park landscape along Viktor Rydbergsgatan in Upper Johanneberg. Note that the area’s park landscape is not actually a park in the true sense; from a legal and technical standpoint it is divided into individual parcels with each belonging to a specific property. Photo by Mikael Askergren, 2018. 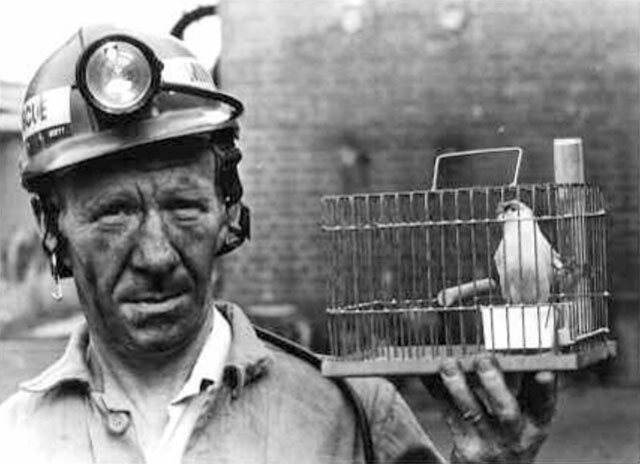 • Miner with a canary in a cage. Photographer unknown. • Louis Campanello. Photographer unknown. • Border area between Austria and Slovakia. The Austrian agricultural landscape appears as a diverse patchwork of fields in the way we recognize throughout the west, while in Slovakia we see along the juridical border an unbroken landscape divided only by elements of the natural environment. Montage by Evgenia Bobkova, PhD student in the Urban Design and Planning division of the School of Architecture, Chalmers University of Technology. Aerial photo: Google Maps. The image is cropped. 1 Bo Madestrand: “Livet i utkanten” (Life on the Edge), Dagens Nyheter, Stockholm, August 31, 2006. In architecture circles Joel Garreau is best known for his influential book Edge City from 1991. 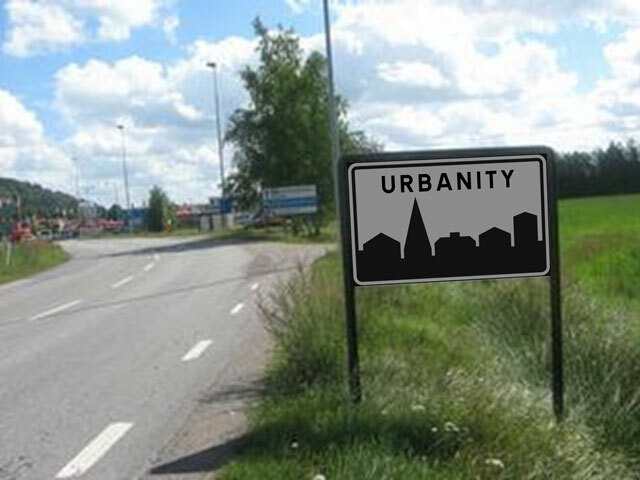 2 Mikael Askergren: Urbanity: What is it? or How to Calculate the Urbanity Index u, published in Swedish in the architecture journal Kritik, Stockholm, #32-December 2016. 3 Eva Rudberg: Uno Åhrén, Byggforskningsrådet, Stockholm, Sweden, 1981.